All across the country, people are coming together to join in a common goal to do all we can to help everyone impacted by Parkinson’s disease(PD) to live life to the fullest. There are no limits to the ways that you can get involved and support the American Parkinson Disease Association(APDA), and our online fundraising tools make registration, ticketing, and fundraising easier than ever. Join us as we spread hope, optimism, and a positive vision for the future. How do YOU want to DIY? Hear are some great ways to get you started! Click “Create My Own Campaign” to set-up your own personal DIY activity. Fundraising can be FUN! You don’t have to sweat to raise funds for APDA. You can turn just about any activity into a fundraising opportunity. No matter what activity you choose, planning and promoting a fundraising event in your community is a great way to raise important funds and awareness for APDA. Your event can be anything from a yard sale or karaoke competition to a bowl-a-thon or dinner dance — the possibilities are endless! Setting up a fundraising page is easy – try it now! Many people turn their birthday or anniversary into an APDA fundraiser. 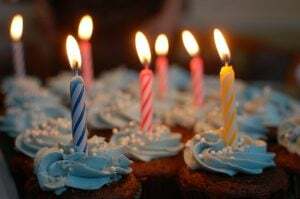 Simply create a personal fundraising page and tie it to a birthday or anniversary celebration, or a special holiday, and invite friends, family and colleagues to make a donation in lieu of gifts. Let them know that a gift to APDA is on your wish list! The best gift can be a donation that supports a cause you care so much about! Running a half-marathon? Participating in a bike race? Turn your next event into a personal fundraiser for a cause you care about! With our online tools, you can easily create a fundraising page to let your friends, family and colleagues know that you’re about to take on a challenge and using it as an opportunity to raise money for support, education, and research for those affected by Parkinson’s disease. You can turn anything into a fundraiser for APDA! 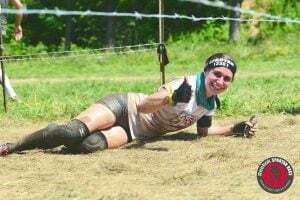 Marie V. (pictured above) raised funds through her Spartan race adventures to honor the memory of her grandfather who had PD. Celebrate someone special in your life by creating a fundraising campaign in honor or in memory of them. 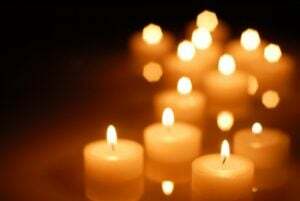 It is a wonderful way to pay tribute to someone who has had an impact on your life, and it gives others an opportunity to make a meaningful contribution in their name. Set up your fundraising page to let people know why this is important to you and then ask family and friends to show their support with a donation. Whether you are living with PD, know someone who is, or just want to support a good cause – creating a DIY Fundraiser is a fantastic way to make a difference for those impacted by Parkinson’s disease. Get started today!